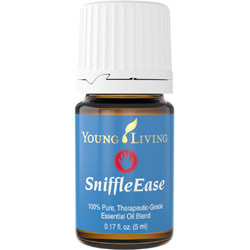 SniffleEase Essential Oil for Children is a rejuvenating and refreshing blend that can be used topically or diffused. Place on the chest and breathe deep. Or diffuse during sleep to keep the air fresh and clean. This is an easy reference guide for SniffleEase Essential Oil Blend. It will tell you how to use your oil blend and what to use it for. It will also provide you with some fun tips and testimonials! Want to Purchase Therapeutic SniffleEase Essential Oil? Go to the Oil Shop! Buy SniffleEase Oil Here! What is in SniffleEase Essential Oil? There are eight different essential oils in SniffleEase. They are listed below along with a brief description of each oil. Eucalyptus Blue Essential Oil (Eucalyptus bicostata) is a unique eucalyptus essential oil that is grown in Ecuador. It contains high amounts of alpha-pinene. Eucalyptus globulus Essential Oil or Blue Gum Oil is one of many eucalyptus essential oils. It is primarily used to support the respiratory system; and to soothe muscle discomfort after exercise*. Eucalyptus citriodora Essential Oil (Lemon Eucalyptus) contains 40-80% citronellal and has several chemotypes. Although originally from Australia, the trees grow in Guatemala, Colombia, Egypt South Africa, India and China. The trees of Madagascar are high in phenols. Eucalyptus radiata Essential Oil (Black Peppermint Oil) or Black Peppermint Oil is one of many eucalyptus essential oils. It is primarily used to for cleansing and purifying. Black Spruce Essential Oil (Picea mariana) has grounding and releasing properties. What are the Documented Uses for SniffleEase Oil? Place on the bottom of feet or over chest for a refreshing and opening feeling. Make a hot compress on chest or spine to provide comfort during the winter months. What is the Spiritual and Emotional Influence? SniffleEase oil helps to open up the chest and heart by uplifting emotionally and mentally. Use this oil for children that are taking on the heavy burdens of the world and/or hold their breath. This will help them let go and not take on so much responsibility that is not theirs to take on. What Chakra is Affected? Solar plexus, heart and throat chakras. Can this Oil be used for Animals? Yes! Definitely use it for dogs and horses. The animals love the kids oils since they are so gentle! 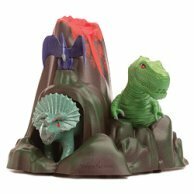 Place SniffleEase in the Dino Land Diffuser or Dolphin Reef Diffuser before bedtime to support wellness.